I’m really tired today. I woke up at 4:30 because my daughter had a crew race and it wasn’t certain if I was going to drive her, or her dad. Then blew a lot of adrenaline jumping up and down and yelling for her team. When I got home, I had all good intentions of erging, but I’m just. too. tired. So instead of not exercising at all, I’m going to take a very long, steady walk through the trees. Which I’m hoping will be better than nothing. I went to another WW meeting today, hoping to find that elusive Great Leader. The GL on the schedule was out today, and there was a Not So Great substitute. But I ran into a friend of mine there (surprise!) and we talked for a bit. Turns out she is rowing for a womens’ master team and really, really encouraged me to join. It really does sound like it could be fun, now that I am not so intimidated by the erg machine. They practice at 5:30 in the morning. Talk about bleary. I either have to force myself to go to bed much, much earlier, or I will end up trashed like I am today. But… I’m considering it. I’m considering ANYthing these days that will take me in the right direction on this path. So there are five people in my family: myself, husband, two daughters (one away at college) and my mother. She is Japanese-American, in her 80s, and quite attached to her white rice. For a long while, my husband was the only one who generally didn’t eat the rice (he’s been doing South Beach for almost 2 years, more or less). Then in January, after a big lunch with white rice almost threw me into a postprandial coma, and I started this New Lifestyle, I stopped. Every night at dinner, my mother would cook up a big pot of rice and then ask, with an undertone of shock in her voice, “You’re not having any?” But my younger daughter loves her rice and would always keep my mom company on the white-rice bus. But younger daughter appears to be changing her food habits as well. I have not wanted to pressure her in the least, but she is entering the competitive season with her novice rowing team, and I notice she has begun preparing and making salads, and believe me, this is new for her. She’s eating differently overall. So last night my mom made the usual pot of rice. My daughter declined, because I had also made pureed cauliflower which is our new stand-in for mashed potatoes. And suddenly my mother was alone with the rice. She BANGED the metal pot lid down on the counter and made us all jump. She was so mad. I think that this new diet is so so threatening and upsetting to her. People who don’t eat rice don’t deserve to be called Japanese, in her mind. The whole thing is intensely disturbing to her. She considers brown rice to be highly suspect and inferior (“hippy food”). I was reading a profile somewhere (on the WW site, I think?) and a Latina woman was talking about how hard it is to deal with many traditional (Mexican I think) foods because to say no to certain things is like turning one’s back on one’s culture. I think that is what’s going on in our house. It’s really hard when not everyone in a household is on the same page. My mom is 86 years old. She doesn’t have diabetes. It’s totally fine if she has her white rice. But it isn’t totally fine with HER if we do not. PS. If you ask me, the best rice these days is Free Rice, where you get smarter while feeding hungry people who really NEED the rice. I guess I can safely say I’ve lost my first ten pounds. And my clothes are definitely fitting differently. A friend of mine, the friend of mine who has the most fashion sense (and I have absolutely none) took me on a forced clothes shopping spree the last time I lost (the same) ten pounds. I bought two pairs of pants that fit me in a shockingly nice way. Who knew! I am also the kind of person who haaaaaaates to spend money on clothes. I will spend money on many many other things: travel, FOOD (of course! ), presents for other people, books, music, entertainment, but clothes are not my Thing at all. I literally have about five pairs of shoes- one of everything: Dansko clogs (for every day), a pair of New Balance athletic shoes, one pair of sandals, one pair of dress shoes, a pair of Uggs boots and a pair of Tevas. That’s IT. Part of it is that I have super wide feet and I can never ever ever find comfortable shoes. If I find something that feels good, like Danskos or Uggs, that’s it, I’m done. Anyway, now that I’m back to the weight of my two pairs of nice pants, I thought, I KNOW these fit. I know they work for me, and I know what size. So I did an online search and found that a fancy department store nearby sells them in JEANS form. Well, they’re not at the store so I can’t try them on. But I know these pants work for me. It was a big leap. Let me see they cost… more than $100. This was painful for me. I can’t deal with the idea of spending that much on JEANS. But they are nice jeans, so I guess I can call them semi-nice pants. OK. I ordered them! They were my reward for the first ten pounds. I can’t wait for them to come so I can try them on! I had my first visit with my endocrinologist this morning. It was good!! I really like her. She’s very young but super friendly and seems to really know her stuff. She was easy to talk to. She took her time, didn’t seem rushed, let me ask all my questions and was overall just great. YAY! I have to go for an oral glucose tolerance test, which for those of you who have not had the pleasure, is one of the nastiest experiences ever. You have to chug a huge quantity (a quart?) of what is essentially SYRUP and then get your blood tested as you see how your body responds to this mass sugar intake. I am SO not looking forward to it, especially since I have had about zero sugar in the past month (except that teeny slice of chocolate cake) and I know my body is not going to respond in a pretty way. I had to take this test several times while pregnant. Once I chugged too fast, trying to get it over with, you know? and ended up puking it all up and having to START ALL OVER again. I remember sitting down on the floor and just bawling my eyes out. Hopefully it will go better this time – but man, I am not looking forward to it. But otherwise we had a good chat. She said it was more important to lose the weight than to actually do a diabetic diet at this point, and whatever combination of food plan/exercise/emotional support will get me to the weight loss, that’s the best plan. She did give a shout-out, however, to the Zone Diet and the Mediterranean Diet. I’m going to check out the Zone book. So that’s the plan. Exercise every day if possible. Continue whatever diet feels the most do-able, but most definitely try to stay away from anything high carb. Check back in five weeks. I am actually very happy to have this five-week appointment because it gives me a target date. I want to have lost weight in five weeks. I want my numbers to be even better. It took a few minutes for her to come in to the exam room, and while I was waiting I looked at this big DIABETES poster on the wall right next to me. What are the results of untreated Diabetes 2? Heart attack! Stroke! Amputations! Blindness and neurological problems!!! With nice illustrations for each! Oh, boy. Yeah, I do not want these things. I am going to walk/row/pedal my way away from that stuff and fast. I feel like I’m in a good place right now. I feel like I can do it and it’s not painful. Oh yeah, I am excited because Biggest Loser is on AGAIN tonight! I’d love it if they could do two one-hour shows every week. And LOST! And Top Chef!! I just got a call with my lab test results. It’s only been a month since my first wake-up call lab tests. And while my numbers are not IDEAL, they are much much much better. I am particularly proud of my triglycerides. Normal is less than 150. A month ago, they measured 240. 😦 And yesterday, they were 185. I am so definitely moving in the right direction. My blood sugar was 110. Moving further and further away from that diagnosis, YAY. I feel confident that if I keep this up, my numbers will be absolutely, completely normal. I’m only half kidding when I say that about our beloved (cough) erg machine (ie rowing machine). Both of my daughters, as I’ve mentioned before, are rowers, one on a Division I college level. I’ve watched them and their teammates erg for years. It looks like torture. But they are not kidding when they say that rowing is a full-body sport. I just got off my third 20-minute erg session. The sweat is running in rivers down my head and body. I know I’ve gotten an amazing workout. And the cool thing is that the machine actually shows you your progress. The first time, I was averaging (“splitting”) 3 minutes and six seconds per 500 meters. (to give you some perspective, the young athletes are always trying to get a “sub-two”) The second time, I got a 2:56 (YAY! a sub-three!!) and today I got down to 2:50.4. I was very proud of myself. If I can get into the 2:30s by this summer, I will be a happy person. I have to thank The Biggest Loser and my daughters for even getting me to try this (my older daughter for being an example of a MONSTER rower, and my younger one for not laughing TOO hard when she tried to show me proper form). But it’s a crazy awesome HARD workout that I can do from my garage. With all my best music on my iPod. Yay for the torture machine!! Note to self: do NOT eat hard boiled eggs prior to erging. Burps will be very nasty. I have to say, I’m pretty pumped full of endorphins right now. So yesterday I spontaneously decided to pick myself up and go to a Weight Watchers meeting. I have been doing pretty well overall but had hit a bit of a plateau and figured I needed something a little more structured. I had such mixed feelings when I walked through that door. I have been through a LOT in that little room and not all of it was positive. I could feel the resistance roiling up in my stomach as I came in and filled out the familiar form on the familiar clipboard. I took a deep breath and went back to the scale. I knew it would be way more than my home scale, since I was fully clothed and it was in the middle of the day, but I still didn’t like seeing that number. Boo. Oh well, we can only go down from here (I hope). The leader was someone I think I’d seen before. My heart sank. She was NOT one of the inspiring ones but rather one of the ones that instantly evoke a Bad Attitude in me. She’s nice enough, but tends to talk to the group as if we were a bunch of kindergarteners. Could she make the “lesson” any more dumbed-down? I felt really condescended to. Some people were good sports about it, but lots of people in the room were looking about a millimeter away from a group eye-roll. I know they have this set “lesson” every week that every WW leader everywhere is supposed to follow – but I was fighting the urge to leap up there and take over for her. Of course I had no right to do that, considering *I* haven’t lost 40 lbs and kept it off for 9 years, but damn, I’m a better teacher. WAY better. I have a secret desire to one day become a WW or other weight loss kind of teacher/leader, but I guess I’d better get to my goal weight before I think about that path. I love teaching and think it would be awesome to teach this kind of thing. If I am successful with the Beck program maybe I could do that. ANYway, cart before horse much? I was chagrined to learn that I now am allotted 2 fewer “points” than the last time I was here. Bummer. That’s what happens when you get old! Bleah. But I did get all the paraphernalia, and yesterday dutifully “tracked” the points of the day. At the end of the day I came in 5 points SHORT. What’s that about? I was psyched to realized that my sugar free tapioca pudding has only 1 point and a ton of fiber! Who knew. So, here I go. I am definitely going to be checking out different meetings to find a leader who is a better fit for me. Why are WW leaders so … straight? I’ve had two fantastic leaders in my long journey through WW – one man who was a really big, funny goofball, and another woman who dropped like 200 lbs and was really honest and awesome about her struggles. Why do they all look and dress like Laura Bush? 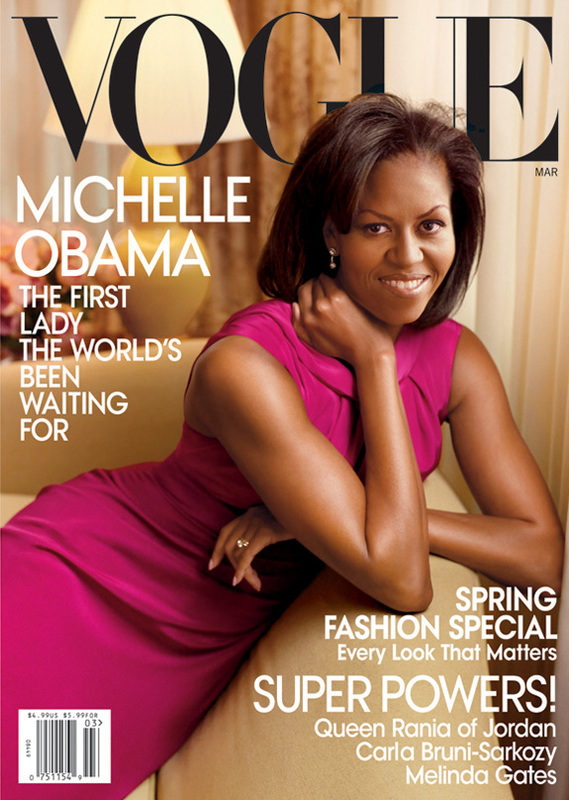 I’d be so psyched to find a WW leader who looks like Michelle Obama. I’d do anything for those arms!! If anybody out there is also doing WW, please chime in. I could use the company. PS. I went to get my blood drawn again today in preparation for my endocrinologist appointment today. The blood-drawing tech was super awesome (no pain!) and he said a magic “Shazaam!” over my lab slip to encourage Good Numbers. Let’s hope.